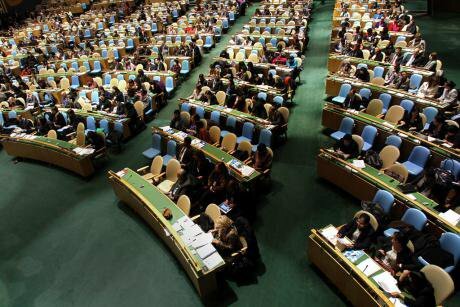 Delegates fill the general assembly hall during the opening of the CSW in 2012. Photo: UN Women/Ryan Brown/Flickr. (CC BY-NC-ND 2.0). Some rights reserved.The last time that the UN’s Commission on the Status of Women (CSW) talks focused on rural women was in 2012, when discussions between member states collapsed amid opposition from some delegations to sexual and reproductive health and rights language. Another dynamic to watch at this year’s CSW is the use of ‘national sovereignty’ arguments by some states to block advances on women’s empowerment. The Africa and Arab regional groups both support heavy-handed language to this effect. The US also joined this camp, stating at the end of 2017 that CSW conclusions ‘do not necessarily change or reflect the United States’ obligations’ – in keeping with the current administration’s intensifying isolationism.